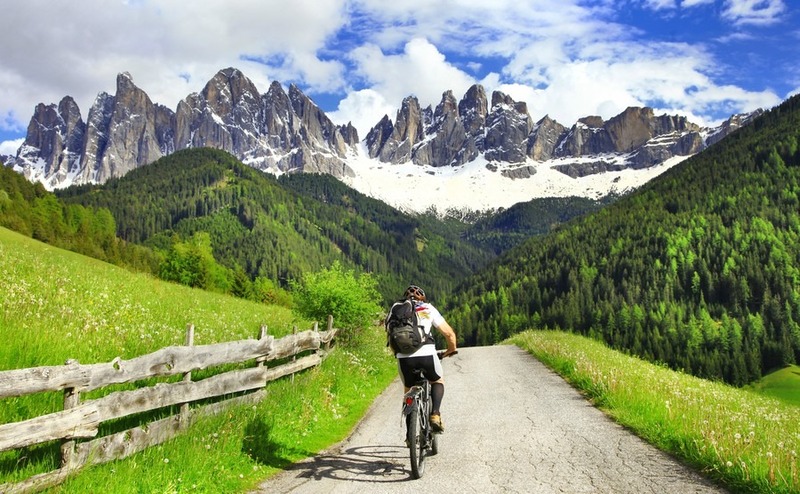 Be inspired by the Giro D’Italia and explore Italy by bike. Cycling (ciclismo) is very popular in Italy and the country has a long history of producing world-class riders, such as Vincenzo Nibali. 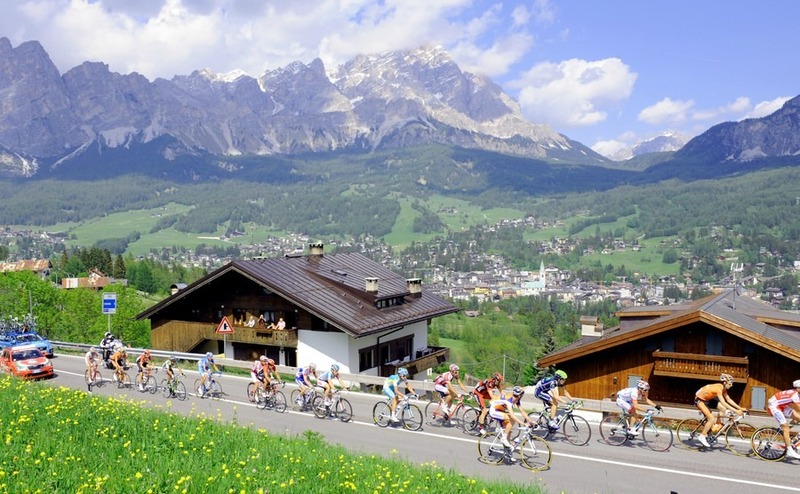 Italy’s answer to the Tour de France is the Giro d’Italia, one of the world’s most prestigious cycling races. This annual race attracts thousands of spectators along its scenic route, as well as those watching on TV who can also enjoy a bird’s eye view of the amazing scenery Italy has to offer. The 100th edition of the Giro d’Italia will run from Friday 5th May to Sunday 28th May 2017, visiting most Italian regions, before finishing in Milan. It is set to be an extra special event with a 28-kilometre time trial at the end of the race, plus one of 39.2-kilometres through Umbria’s Sagrantino wine region. The national cycle network of “Bicitalia” has some beautiful routes in many regions, particularly across the north, and down the east coast to Puglia. There are even themed routes for those looking for great scenery and who want to visit places of interest along the way. These routes can incorporate visits to the art cities of the Po Valley, cycle ways of former railways and a route from Florence to Ravenna with views of the Apennine mountains, plains, rivers, pine trees and sparkling blue sea. You can even visit castles, museums, vineyards and roman sites. Most regions have suggested routes suitable for families, tourists and serious cyclists. On a local level, you will find clubs racing through the countryside at the weekends and groups on hired tour bicycles, stopping off in small towns to see the sights and enjoying a cool drink at a piazza cafe. For any budding Chris Froomes coming to live in Italy, cycling could be a good way to keep fit and explore the area. You may also make new friends by joining a local cycling club. Along the many cycle routes there are opportunities for people to run related businesses hiring bicycles, offering assistance and maintenance, giving advice on routes, leading tours and providing accommodation. 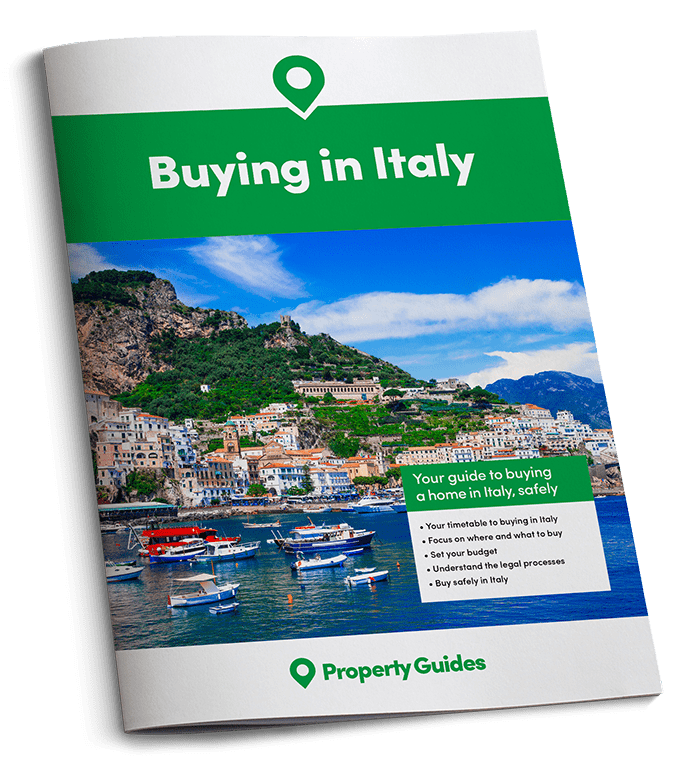 If you buy an Italian property to rent out to tourists, it could be worth having a few bicycles to rent to them for an extra charge. But be aware that in July and August tourists usually find it too hot to hit the roads, so it is only really an option to attract tourists in the spring, autumn and winter months. Regional tourist boards usually have information on suggested routes. 1. The Ciclopista del Sole (eurovelo 7) – Starting in Austria it runs through Bolzano, Bologna, Florence and continues down to Rome and the Lazio coast. 2. The Ciclovia del Po e delle Lagune (eurovelo 8) – The Po and Lagoons cycleway links Ventimiglia near the border with France, with Trieste on the border with Slovenia, travelling along the banks of the Po river. 3. The Via Francigena and eurovelo 5 – This is the traditional pilgrimage route that runs from Canterbury, in Kent, to Rome. You can also continue on to the eurovelo5 south-east towards Brindisi in Puglia, which was the traditional point of departure for pilgrims heading for Jerusalem. 5. The Ciclovia Alpe-Adria Radweg – From Salzburg it crosses into Italy at Villach. You can enjoy traffic-free cycle ways on old railway lines followed by quiet roads heading south to the Adriatic coast. 6. The Bicitalia Svizzera-Mare route – From Switzerland it heads south west through Piemonte and Liguria to the coast of Imperia. You can continue along the Cycling Riviera leading towards France. With so much stunning and varied scenery to explore, from the sea to the mountains, you’d better get on your bike and start your Italian adventure. Fresh air and exercise, just what you need.